If you are in need of affordable car insurance in Trinity area, Coleman Insurance Agency offers some of most affordable auto insurance quotes from our nine A-rated companies. We are located just minutes away in Dunedin, and will find you a custom policy based on you and your family’s personal situation. Whether it is picking the right deductible or making sure you get all the discounts that you qualify for, our experienced agents will make sure you the right policy based on your needs. Coleman Insurance Agency would like to help you find the Trinity auto insurance you require at a price you can live with. 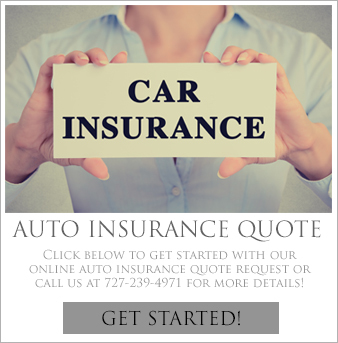 Getting auto insurance in Trinity area does not have to be something you dread anymore. The Coleman Insurance Agency makes it simple and straightforward. Contact us today and we will go out of our way to make sure that your experience with us is an enjoyable one. Our experienced and helpful agents work hard to make sure they deliver no hassle auto insurance quotes every time. We know at Coleman Insurance Agency that our success relies on our customer’s satisfaction so we work hard to take care of you. We strive to give our clients personal attention while delivering exceptional customer service. We are an auto insurance agency that appreciates our client’s business and wants every experience to a good one. You need to make sure your car is protected because it is a major investment and important to your ability to get around easily. Our knowledgeable insurance specialists will make sure to ask you questions so we understand what you need and answer your questions so you understand what coverage you are getting. So whether you have an older model vehicle and want basic coverage or a new car and need full protection, we will advise you and help you find the best coverage at the most affordable price. Here at Coleman Insurance Agency, we are a full service Trinity auto insurance Agency who can provide you with commercial auto insurance to safeguard your company automobiles. No matter what the size of your business, we will provide a competitive Trinity car insurance quote. Whether you need commercial insurance for just one vehicle or a whole fleet, our knowledgeable agents will get the best policy for your needs. Contact us today at 727-441-9911 for your personal or commercial auto insurance and feel confident that you are working with a reputable and well established auto insurance agency that you can trust with all your car insurance needs.